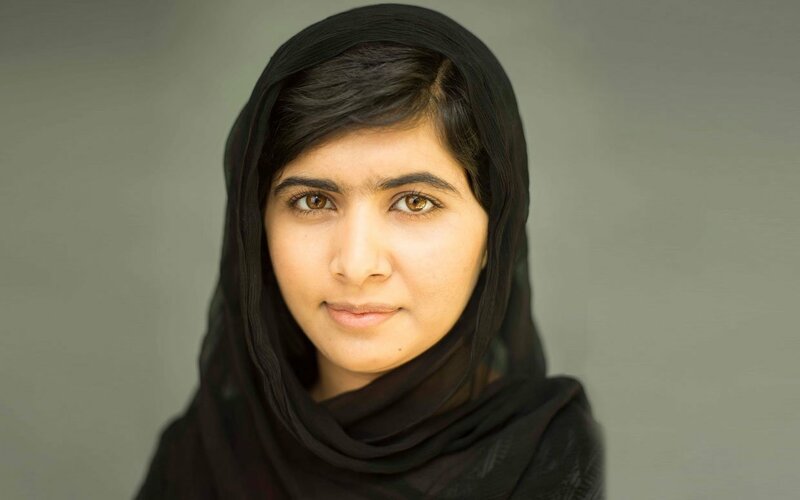 LOS ANGELES, CA March 30, 2015 – Fox Searchlight Pictures Presidents Nancy Utley and Stephen Gilula announced today that the company has acquired worldwide rights less France and other French-speaking territories to the documentary HE NAMED ME MALALA, directed by Academy Award®-winner Davis Guggenheim. Studiocanal will distribute the film in France. HE NAMED ME MALALA is scheduled to be released in 2015. The documentary, produced by Walter Parkes and Laurie MacDonald under their long-term production partnership with Image Nation Abu Dhabi and co-financed by Participant Media, is an intimate portrait of Malala Yousafzai, who was wounded when Taliban gunmen opened fire on her and her friends’ school bus in Pakistan’s Swat Valley. “Malala’s incredible journey is both heartbreaking and inspiring. Her bravery in the face of adversity brought us to tears. The chance to bring her story to a global audience will be an honor for all of us here at Searchlight,” said Gilula and Utley. “Spending the last 18 months with Malala, her father Ziauddin and their family has been one of the great experiences of my life. Now that Fox Searchlight is joining Image Nation and Participant Media, we have the opportunity to share their moving story with the world,” said Guggenheim. “This project has been an incredible journey and we’re now pleased to be joined by Fox Searchlight Pictures, whose expertise will help ensure the film reaches as many people as possible with its inspiring message,” said Mohamed Al Mubarak, Chairman of Image Nation Abu Dhabi. The film’s producers are Walter Parkes and Laurie MacDonald. Executive producers include Mohamed Al Mubarak and Michael Garin from Image Nation Abu Dhabi and Jeff Skoll for Participant Media. In a call to millions of other girls around the world and those who stand with them, the film will also launch an international advocacy and fundraising campaign in partnership with the Malala Fund, Malala’s nonprofit organization working to empower adolescent girls globally through a quality secondary education. The deal was brokered by Fox Searchlight’s Executive Vice President of Worldwide Acquisitions, Tony Safford; Senior Vice President of Business Affairs, Megan O’Brien; and Senior Vice President of Acquisitions & Co-Productions Ray Strache, and Julian Zajfen at Ziffren Brittenham, which represented the filmmakers. Since launching in 2008, Image Nation Abu Dhabi has become one of the leading content creators in the Middle East. The company produces filmed content across a wide range of platforms, with a particular focus on audiences in the UAE and Gulf region. Image Nation seeks to fulfill four key commitments: Developing Emirati filmed entertainment; growing the local film and television industry through training and internship programs; supporting Abu Dhabi entities in creating content to meet strategic and marketing objectives; and co-producing an aggressive slate of international films through several strategic partnerships. Participant Media (http://www.ParticipantMedia.com) is a global entertainment company founded in 2004 by Jeff Skoll to focus on feature film, television, publishing and digital content that inspires social change. Participant’s more than 60 films include Good Night, and Good Luck, Syriana, An Inconvenient Truth, Food, Inc., Waiting for ‘Superman’, The Help, Contagion and Lincoln. Participant launches campaigns that bring together government entities, foundations, schools, and others to raise awareness and drive people to take action on issues from each film or television show. Pivot (http://www.pivot.tv/), the company’s television network, is available nationally in 47 million homes, with a diverse slate of talent and a mix of original series, acquired programming, films and documentaries. TakePart (http://www.TakePart.com) is Participant’s digital news and lifestyle magazine and social action platform for the conscious consumer. Through its films, social action campaigns, digital network, and its television network, Participant seeks to entertain, encourage and empower every individual to take action. Parkes/MacDonald Productions was founded in 2005 by Walter Parkes and Laurie MacDonald to develop and produce feature film and television projects. Previously, Parkes and MacDonald served as the founding presidents of Dream Works SKG motion picture studio; during their 12 year tenure, they led the studio to three consecutive Best Picture Oscars. Films produced or executive-produced by Parkes & MacDonald include GLADIATOR, MEN IN BLACK I, II & III, FLIGHT, MINORITY REPORT, THE MASK OF ZORRO, CATCH ME IF YOU CAN, LEMONY SNICKET’S A SERIES OF UNFORTUNATE EVENTS, THE TERMINAL, ROAD TO PERDITION, THE RING, THE KITE RUNNER, and Stephen Sondheim’s musical thriller, SWEENEY TODD: THE DEMON BARBER OF FLEET STREET, among many others. In total, films produced or executive-produced by Parkes and MacDonald have earned in excess of $6 billion in worldwide box office. Their 2015 slate includes NBC’s critically acclaimed The Slap, the NBC pilot Warrior, RINGS for Paramount Pictures and KEEPING UP WITH THE JONESES for Fox. Upcoming productions include the live action BARBIE film for Sony scheduled for production late 2015/early2016. In 2012, Parkes/MacDonald teamed with Image Nation Abu Dhabi to form Parkes + MacDonald/Image Nation. HE NAMED ME MALALA is the first film financed by this new partnership. STUDIOCANAL is a subsidiary of the CANAL+ Group. It is one of Europe’s leading companies in the market for co-production, acquisition, distribution of international feature films and TV series. STUDIOCANAL is the only studio operating simultaneously in the three main European territories – France, the United Kingdom and Germany – as well as in Australia and New Zealand. Additionally, STUDIOCANAL owns one of the most important libraries in the world, with more than 5,000 international titles. Previous PostNBC Is Off To See The Wiz!Next PostJapanese Power Pop Quartet Scandal Say Hello World With World Tour!